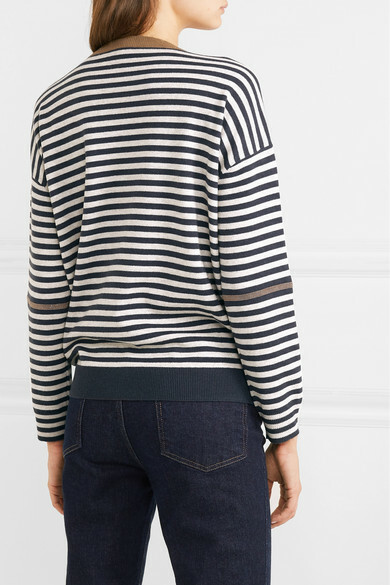 Brunello Cucinelli's sweater has been made in Italy from a blend of wool with cashmere that's naturally soft, springy and breathable. 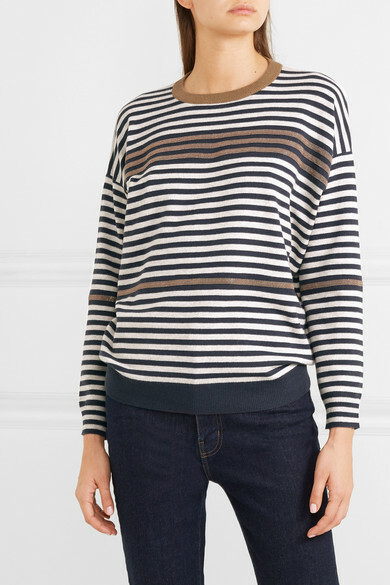 It's knitted with classic navy and cream stripes and traced with the label's signature shimmering bronze beads. 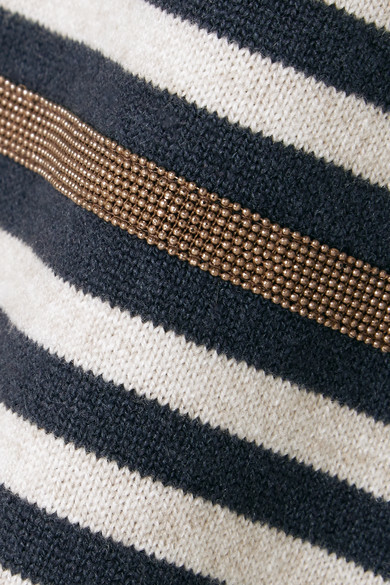 Wear yours with jeans or smart pants. 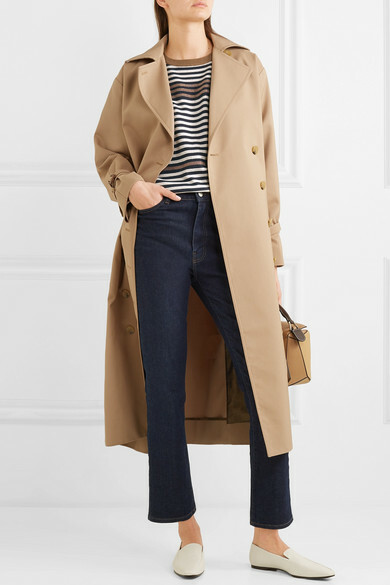 Shown here with: Totême Trench coat, CASASOLA Jeans, Loewe Shoulder bag, The Row Loafers.